Hoop Nut #UAAP79 Adamson Ateneo UAAP UP UST #UAAP79 Roundup: Soaring Falcons shoot down Maroons and Eagles outlast Tigers on Day 1! #UAAP79 Roundup: Soaring Falcons shoot down Maroons and Eagles outlast Tigers on Day 1! The Men’s Basketball Tournament wars opened yesterday with a big bang as Adamson put on a shooting clinic against overmatched UP, while Ateneo leaned on a pair of second-generation hoopsters to notch win #1 at the expense of host UST. 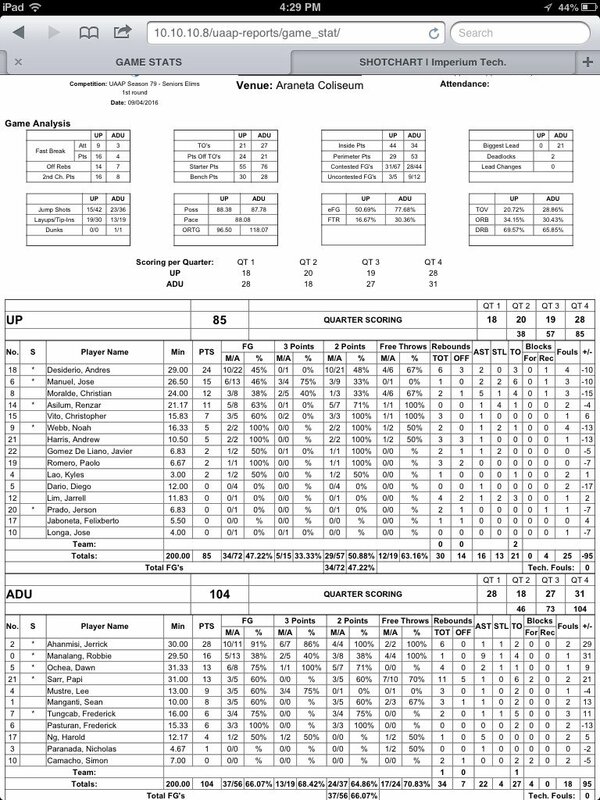 Rookie Jerrick Ahanmisi exploded for 28 points in his debut as the Adamson Soaring Falcons held off a late rally by the UP Fighting Maroons, 104-85, to open the UAAP Season 79 basketball tournament on Sunday at SMART-Araneta Coliseum. 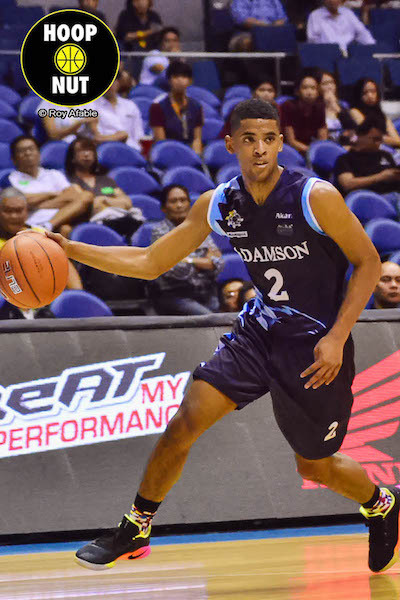 Jerrick Ahanmisi made the best first impression possible for Adamson. Paul Desiderio's 24 points weren't enough for UP to get a W.
Adamson led by as much as 21 points and was well in control of the game until UP threatened with a late run. Paul Desiderio led UP with 24 markers. 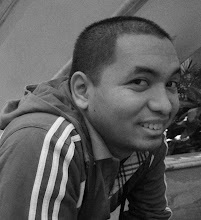 Jerrick Ahanmisi (ADU) - 28pts, 6rebs, 1ast, 1stl, 6 triples, 10/11 FGs. 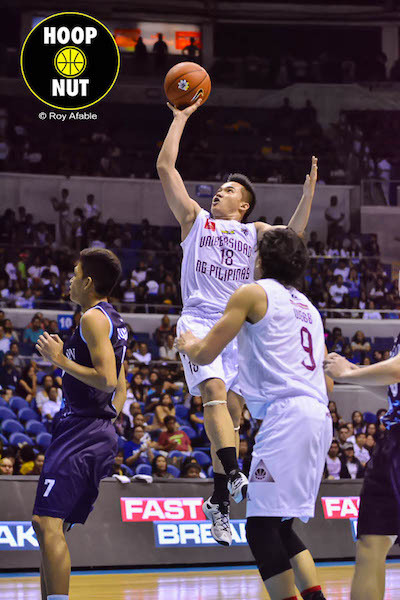 Paul Desiderio (UP) - 24pts, 6rebs, 2asts, 10/22 FGs. 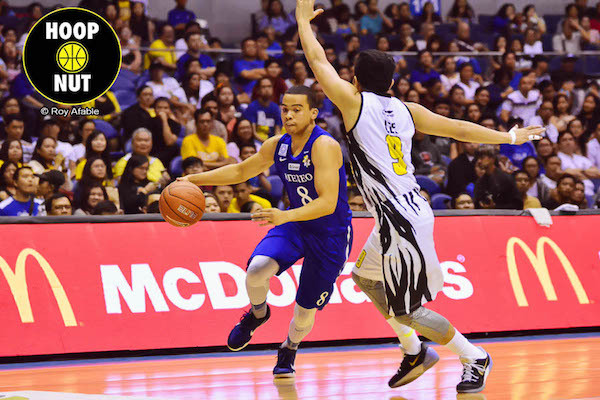 The Ateneo de Manila Blue Eagles made a big run in the fourth quarter as they hurdled the UST Growling Tigers, 73-69, in their opener in UAAP Season 79 on Sunday at the SMART-Araneta Coliseum. 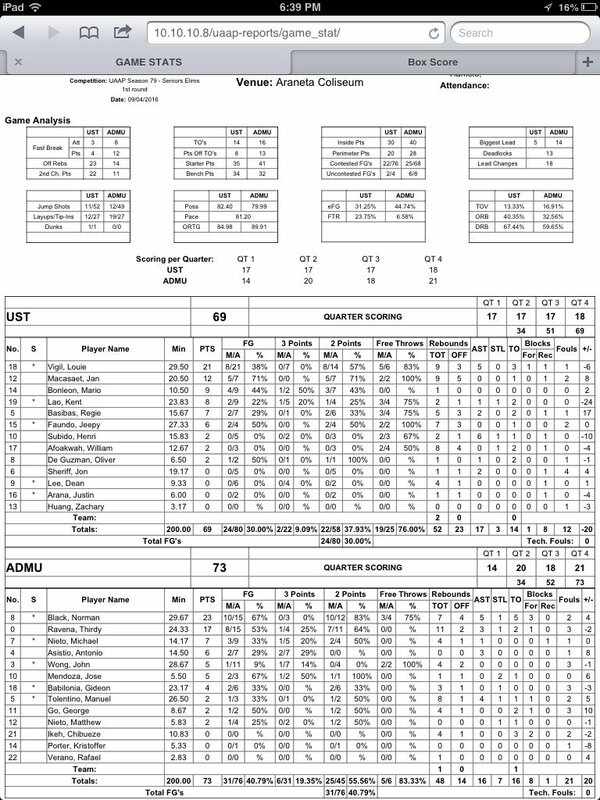 Ateneo, which is now 1-0, got some huge contributions from a couple of second-generation players in their first game. Louie Vigil confirmed his status as the new King Tiger with a team-high 21 points. Aaron Black exploded for 23 points on 10/15 FG shooting for the Blue Eagles. Aaron Black posted a game-high 23 points, seven rebounds, five assists and three blocks to lead Ateneo, which led by as many as 14 points in the fourth quarter before needing a clutch basket from Black to hold off a late rally by UST. 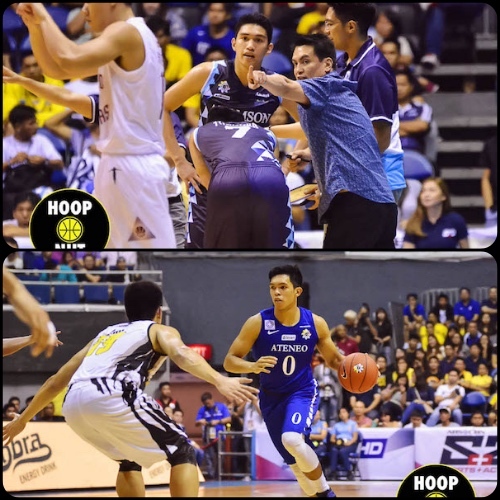 Thirdy Ravena also had a big game with 17 points, 11 rebounds and three assists for the Blue Eagles. 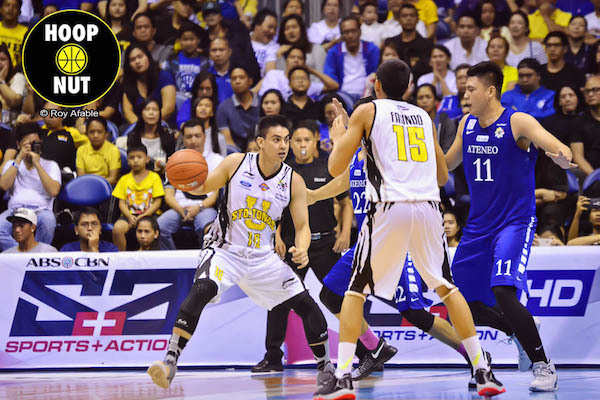 Louie Vigil and the comebacking Joco Macasaet paced USt with 21 and 12 points respectively. Aaron Black (ADMU) - 23pts, 7rebs, 5asts, 1stl, 3blks, 10/15 FGs. Louie Vigil (UST) - 21pts, 9rebs, 5asts, 1blk, 8/21 FGs.